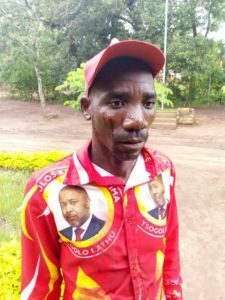 MANGOCHI-(MaraviPost)-The suspected governing Democratic Progressive Party (DPP) cadets on Sunday are said to have beaten up UTM party members who were on their way to address a meeting in Mangochi. According to sources the suspected DPP cadets about 12 of them, were in battered maroon pick up with a registration number Ana a Dad on it and parked right at Mbaluku after Bakili Muluzi bridge. They first stopped Mai Hussein on her way to Lutende before Regional Governor for the East Sande arrived on the scene in the company of Waya. “The two were harassed and Waya was hit with a carlsberg bottle. Sande has had his two mobile phones taken. The Regional Secretary and her Team were stripped off their UTM attire, paraded naked and pictures of them taken,” said an eyewitness. 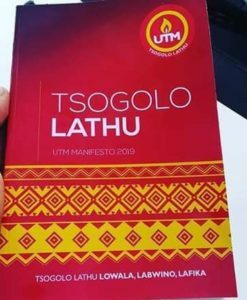 UTM members are this weekend addressing several political rallies throughout the country. Their leader Vice President Saulos Chilima is currently on a private visit to the United States of America and is expected back in the country on January 24. DPP Regional Governor for the Eastern Julius Paipi is said to be behind the attack which he hasn’t accepted the claims when we contacted him. This comes barely some days after DPP cadets also beat lawmaker and UTM Party Director of Youth Bon Kalindo in Mulanje. No arrest has been made despite the police aware about the incident.